5.56 points at 16 votes (rank 709). 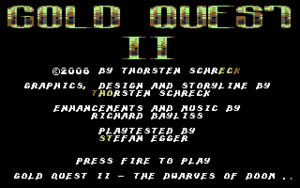 Gold Quest II - The Dwarves of Doom is the sequel to Gold Quest. After the three-headed king of dwarves was defeated by Sledgie, he was hit by his curse. Sledgie has to enter the realm of the dead dwarves, to free himself from the curse. 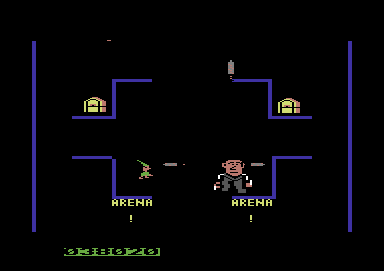 There he has to cross 6 new levels, to finally fight against the ghost of the dead dwarf king in the bonus level. Only after he has destroyed the 3 brains, the adventure is solved. The path to the aim is very difficult. In Gold Quest II also gold and jewels are helpful. This time you cannot only find them on the ground, but also in treasure chests. In the first level Hell of Gold Sledige reaches the realm of the dead. 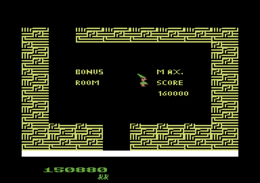 It stretches over two more levels Wizard of Gold and Maze of Gold. From the 4th level Body of Gold you enter the body of the keeper of the underworld. Using the bloodstream in the 5th level Blood of Gold Sledgie finally reaches the brains of the keeper: Brain of Gold. There in the Bonus-level he has to erase the memories to reach his goal. 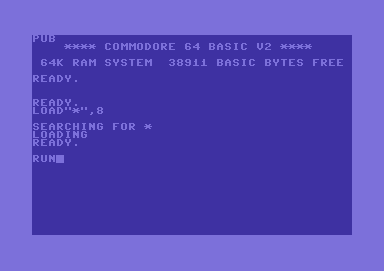 Uni- and multi-coloured moving sprites on a simple background graphic in all colours of the C64. When moving the pawn, the screen scrolls from bottom to the top. 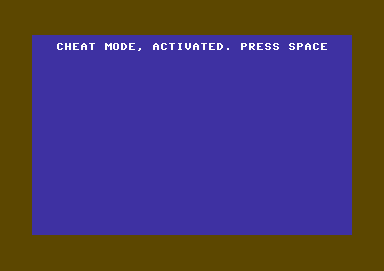 In the 5th level Blood of Gold, the screen scrolls only for the display of the flowing of the blood. The intro and the music were created by Richard Bayliss. "Dave" (blue) starts with 3 lives, "Sledgie" (green) starts with 5 lives. 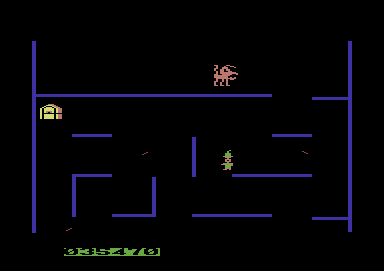 At the start of the game you need to choose by pressing the fire button on joystick 1 or 2. Move the cursor to the upper left corner an type "PUB". Then start the game some lines below with RUN. FXXS: "Solid action for in between... 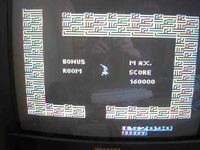 I only miss a highscore list and different tunes per level would be nice... all the same 7 points..."
H.T.W: "Not bad for a SEUCK game. But as already mentioned, a highscore list is obligatory for a shooter." 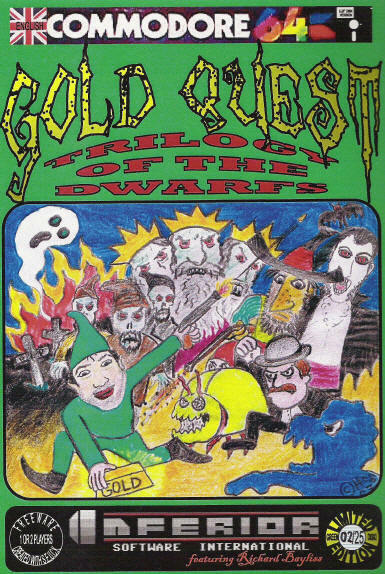 CZ-Tunes released its second remix for the Gold Quest saga on March 15th 2008 with Gold Quest II Remix. Ic3m4n released Gold Quest 2 (Tanzen Mix) on July 7th 2008 with a new remix for the Gold Quest saga. Scores with the "blue man Dave" count more than the ones with the "green man Sledgie". Explanation: the blue man starts with only 3 lives, the green with 5 lives. This page was last modified on 5 September 2015, at 02:52.